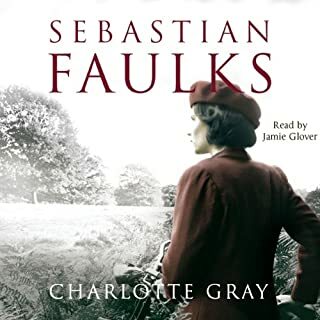 In 1942, Charlotte Gray, a young Scottish woman, goes to Occupied France on a dual mission: to run an apparently simple errand for a British special operations group and to search for her lover, an English airman who has gone missing in action. In the small town of Lavaurette, Sebastian Faulks presents a microcosm of France and its agony in 'the black years'. Here is the full range of collaboration, from the tacit to the enthusistic, as well as examples of extraordinary courage and altruism. yes, I had forgotten what a good story this was having read it when it was first published. What other book might you compare Charlotte Gray to, and why? Red Joan - war time story about people lives and the sacrifices they made. Have you listened to any of Jamie Glover’s other performances? How does this one compare? Not sure - probably. He was excellent. A fateful car crash sets in motions a series of events for Floriana, Esme. 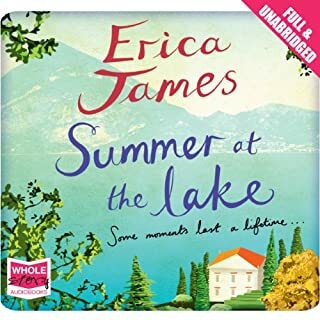 Floriana gathers the courage to attend the wedding of her one true love, and Esme journeys with her to Lake Como to find the man who stole her heart many years ago. It’s time for Esme and Floriana to face the past - and the future - on the shore of the most romantic and enchanting of lakes. Gently romantic story set in Oxford and Italy. Would you try another book written by Erica James or narrated by Antonia Beamish? Yes, I would read rather than listen to one of her books. I liked the fact that there is more than one main character but that their lives overlap. Who might you have cast as narrator instead of Antonia Beamish? Sadly, I thought that Antonia Beamish's halting style was extremely annoying - she seemed to add her own punctuation to the prose making the narration clunky and difficult to listen to. Well, I wont download anything read by Antonia Beamish again unless it's a reference book!